Published in 1908, The Man Who Was Thursday begins with two men, Gabriel Syme ( a poet who believes in law and order) and Lucian Gregory, (a poet and anarchist) meeting in a garden during a party. After a lengthy discussion as to whether Man should be ruled by laws or have free will to rage against the machine, Gabriel accuses Lucian of not being a “real anarchist”. Lucian counters by inviting Gabriel to a secret meeting of anarchists to prove him wrong. At this meeting Lucian is hoping to be elected to the Supreme Council of Anarchists as “Thursday”, one of seven men on the council, each named for a day of the week. The Council, lead by the man named Sunday, is planning to carry through with a planned assassination/bombing. What transpires next is a humorous, witty, frightening, and often philosophical look at the state of man, war, peace, God, and social order to finally reveal that nothing is as it seems. Did I mention that the subtitle of the novel is: A Nightmare? That’s because many of the thematic discussions of the novel are pretty relevant today. Some things never change. For fans of Christian allegory or C.S. Lewis’ Screwtape Papers, this novel will please you to no end. For fans of thought-provoking philosophical discussions that will leave you endlessly pondering the book’s meaning, this will please you to no end. 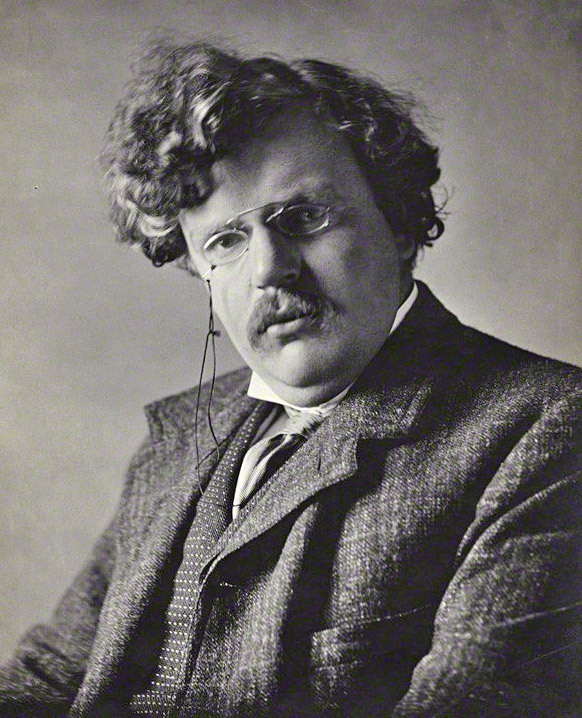 Chesterton employs subtle and not-so-subtle metaphors that leave you guessing his ultimate goal for the novel. It’s apparent right from the start: Gabriel = Law & Order. Lucian = anarchy/Free-will. Both meeting in A Garden. (I mean, c’mon!) The other members of the Council: Monday, Tuesday, Wednesday et all, represent the burning questions of the time: Pessimism or optimism of Modernity; the benefits of scientific materialism; etc. And who is Sunday, the mysterious man who leads the council? But if you think it’s just that easy, it’s not. There are enough twists and turn, colorful characters and beautiful banter that make this Nightmare a wonderful experience. This is one of those books where you will be looking up words, highlighting passages and writing notes in the margins. Rare and wonderful is the novel that comes along that, after reading the last word, instantly bestows upon you the desire to read it again. 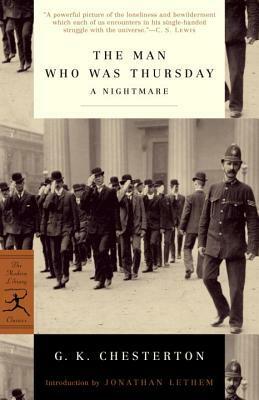 The Man Who Was Thursday is just such a novel. While some of the events and situations may seem out of date, the novel will certainly provoke further discussion. Want to have fun? Suggest this for your next Book Club read and watch the sparks fly…. Download or order your copy by CLICKING HERE!